"The liberal arts are so broad that there are people who say you're never going to find a good job. I don't believe that's true. Just be open, as you don't have to go into college knowing exactly what you want to do. Most likely you'll discover what you are interested in by taking lots of liberal arts classes." "My mom, Lindsey Houlihan, is a clinical faculty member in the College of Education, Health & Society. Growing up in Oxford, I always knew that Miami was a really good school, and I enjoyed a special education program at Miami that I took as a high school student. It provided both high school and college credits, and it was a key influence for my decision to be an Art History major. "If I had to go back to any year, I would definitely choose my freshman year. People always ask me if it's weird going to school at the same place where I'm from, and I tell them it actually feels totally different. I get to be with such a variety of people and choose what I want to do with my time instead of always being assigned things! "Early on I got really involved in two different student organizations here on campus: the American Asian Association (which we call AAA, or Triple A) and the Korean American Student Association (KASA). Back in high school there weren't a lot of Asian Americans, so being able to go to college and have that community felt really great. "At Miami I like that there are so many opportunities. You can join all kinds of clubs and take any classes you want. We may not have the most diverse student body, but there are pockets throughout the community. There are also a lot of organizations, great lectures in different departments, and all kinds of things that I never would have thought about participating in while in high school!" "I am chair of AAA's annual Fusion event, which is our big show of the year. It's a show where we perform a combination of traditional and hip-hop dances popular among different Asian countries. Last year we won Show of the Year, which is really exciting. For Fusion 2017, which was called #NewGenerASIANS, we focused on three generations of Asian Americans to demonstrate how the Asian American experience has evolved over time and to emphasize how we remember our heritage. "During the summer after my freshman year, I studied abroad for 6 weeks in China for my East Asian Languages & Cultures major. Professor Liang Shi, who is also the assistant chair for the Department of German, Russian, Asian & Middle Eastern Languages & Cultures (GRAMELAC), was in charge of the trip. Traveling throughout China was really influential in how I feel about being both Asian and Asian American. "Including Dr. Shi, I've had so many great professors at Miami, but there are a few in particular who have inspired me. Andrew Casper, an associate professor in Art History, made me think beyond the field to another level: life in general. His courses were a lot more philosophical than I thought they'd be, and he helped motivate me to declare my Art History major. There was also Ann Wicks (now retired), who taught Asian Art History, as well as Constancio Arnaldo, who I took classes from last year. He's no longer at Miami, but we connected well and often chatted about the Asian/Asian American Studies minor. "All in all, my involvement in my two majors, my minor, and two student organizations is teaching me a lot about time management and communicating with people more effectively. On top of that, I've come to learn how to improve my critical thinking skills. These are all important life lessons that you cannot only learn in class!" "With my liberal arts classes I feel I'm gaining a new skill set at Miami that I'll be able to use for my future career. I've learned how to discuss different topics, apply my knowledge in new ways, and discover different places where they intersect. This includes courses on topics that I wouldn't normally take since they may not be related to my majors — but being able to draw parallels is very important. 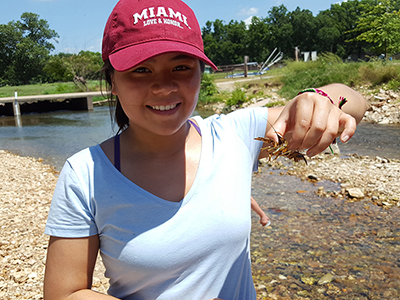 Kate Hanley holds a crawfish while on a service-learning trip with the Eastern Shawnee tribe in Oklahoma. 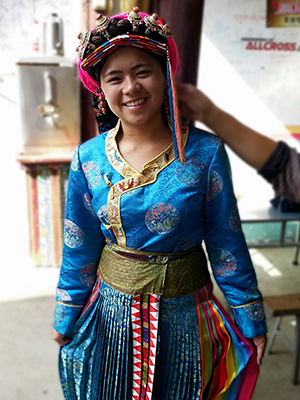 "One of the best things about my East Asian Languages and Cultures major is that it's made up of many different concepts. It's not just language, art, history, cultures and so on — it's more than the sum of its parts. "Beyond my major classes, one of my favorites was on Renaissance art history with Dr. Casper. It taught me how to view art from new angles, including history. Another great class was one on American Studies last summer, in which we spent 10 days working with the Eastern Shawnee tribe in Oklahoma. Taught by assistant professor Sandra Garner, the course gave us the chance to meet people who worked in the tribe's cultural center and help them organize events for the community. One of these events was a summer camp, in which we served as camp counselors for 5 days. Our involvement helped provide a safe and supportive environment for kids who do not have many resources." "Asian countries represent a huge number of different cultures, and my work in the AAA organization tries to showcase various elements and break the common Asian stereotypes through dance, both historical and modern. We bring in guest speakers, such as comedians and alumni, and this past year we tried to have a more business-oriented, career-focused approach. "My involvement in clubs like AAA and KASA have given me the ability to talk about things, like my Asian American identity, that I wasn't always comfortable with in the past. Because our group is made up of both Asian Americans and international Asian students, it allows us to come together to address issues of identity at Miami — where on occasion Asian stereotypes make themselves known among the general student body. I've found a niche where I can just be myself, where I won't be mistaken as an international student who might be unfamiliar with English or American customs. Needless to say, my involvement in these two groups has been pretty influential! 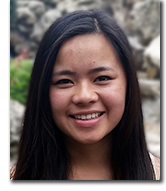 "Participating in these groups ultimately led to my decision to minor in Asian/Asian American Studies and then participate on my study abroad trip to China, in which we had a number of language classes and cultural excursions to various places around the country. It was necessary to speak Chinese throughout the trip, just in order to get around and get the most out of our time there. "There were about 25 students in my group. We began the experience in the eastern part of China, largely Beijing and Tianjin, but also spent a week traveling to the west, towards Tibet, to see another side of the culture. We had classes for about 4 hours a day, and then we would often travel throughout the city to eat out and explore. Kate Hanley poses in a Tibetan dress while studying abroad in China. "Our excursion to the Tibetan area of Sichuan Province was one of the highlights of the entire trip. We got to see a different version of China than we've been taught about in America and learned about the political climate, geography, culture, and people of this region. This aspect of the trip highly contrasted with the urban climate of Beijing and Tianjin, where we spent the majority of our time. "Although the experience was amazing, I wasn't really able to process it until I came back to the States, where I was inspired to be even more heavily involved in my student organizations. "This was not my first time abroad, but because it was my first time to China I began feeling its strong influence on me as I readjusted to life in America. I've thought about it a lot ever since, and I realized that as an Asian American, it's very different to visit to an Asian country as opposed to a non-Asian country because you get treated very differently. In Asia, you are met with different expectations — being able to speak the language, understand the customs, and so on. "Many AAA members feel the same sense of uneasiness and guilt of not knowing as much about their heritage culture compared to their parents or relatives that live in Asia. However, I think it's important for me and other AAA members to not hold ourselves at that standard because we grew up in America. It's difficult walking the line between the cultures, especially when going back to the country of origin, which is all the more reason why I'm happy I've been able to bond with these fellow students." "The liberal arts are so broad that there are people who say you're never going to find a good job. I don't believe that's true. Just be open, as you don't have to go into college knowing exactly what you want to do. 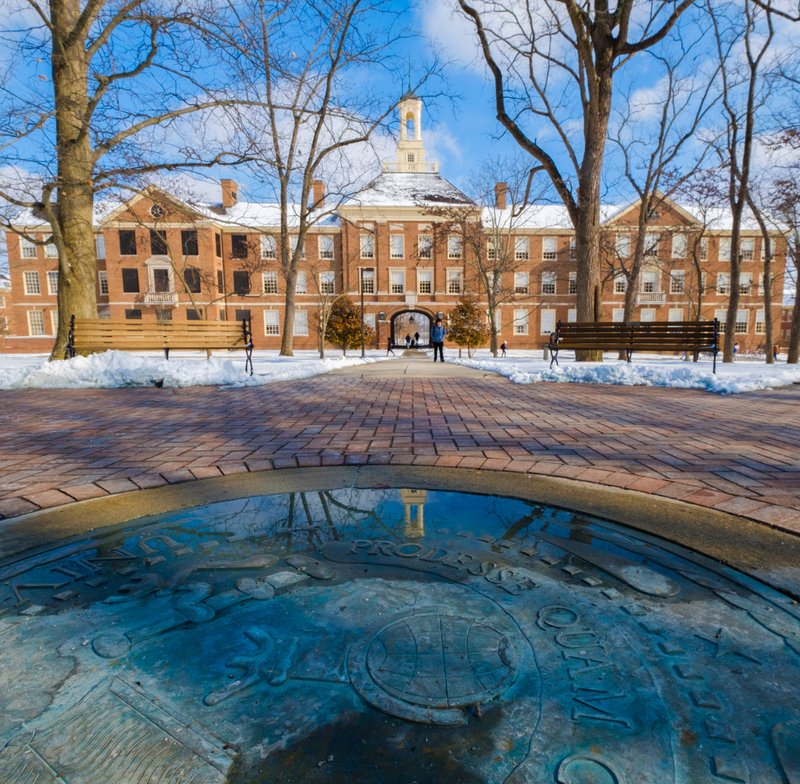 Most likely you'll discover what you are interested in by taking lots of liberal arts classes. "I myself have been going back and forth many, many times about my future plans. I'm thinking about going to grad school, but before doing that I might join the nonprofit organization Teach for America, which helps provide educational opportunities to kids in low income communities. "Beyond academics, it's also important to challenge yourself and confront issues that make you uncomfortable. That's what I've done through my involvement in AAA and KASA, where I've been able to find a group of people who have helped me with my own identity and who can support and advise me. Whether or not the club you find is based on race, gender, sexuality, or interesting hobbies, there is a place for everyone at Miami!"